Most people have a hard time staying away from the cold and the flue in autumn. The flues cause us a general weakness in our bodies, muscle aches, fever, tiredness, cough, sore throat, stuffy nose, chills, nausea, even vomiting. A common cold has similar symptoms as the flu, but not so intense. Usually, people who got the cold have a stuffy nose and a sore throat. Children are the most vulnerable ones when it comes to getting the cold in autumn, because their immune system is still in development. However, adults have a hard time passing through this season, too. The frequency of getting the cold drops along with aging; thus, adults get the colds and flues two or three times a year; the elderly get it once a year because, as people get older, they become immune to more germs as their immune system comes into contact with more and more of them; the children get the flu six or seven times a year. 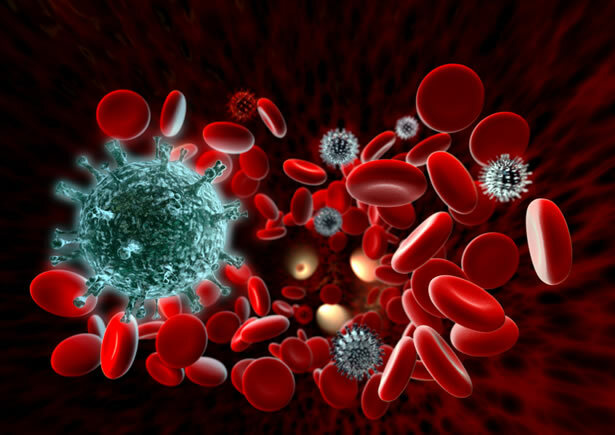 The immune system is a network of cells, tissues, and organs that work together in order to defend our bodies against viruses, bacteria, microbes and other invaders. Symptoms of a lowered immune system include dry skin, headaches, tiredness, aches and pains, weight imbalance, disrupted sleeping patterns and sickness. The symptoms of the cold differ from the ones of the flu, depending on our immune system. A strong body can quickly recover after the flu, but a weak body can feel a common cold as the flu, experiencing complications, even staying in bed. Tired of getting the cold in autumn? Here are some tips to boost your immune system! Drink a lot of water! This way, you prevent dehydration of your body, skin and mucous membranes, as they are the first barriers of defense against flues. You can also assure their health by introducing a proper quantity of zinc in your system. Our bodies loose three liters of water through urine, perspiration and breathing. Too little water in our bodies reduces energy and contributes to toxins retention. Also, drinking too much coffee has the same effect. It leads to dehydration; it robs the body of vitamins and minerals and harms the immune system. Zinc is found in every tissue of the body, thus, its deficiency can lead to disaster! This mineral is correlated to the T cell function. T cells are responsible of the immune system when viruses and bacteria attack our bodies. Here are some zinc rich foods: cooked oysters, beef and lamb, spinach, pumpkin and squash seeds, nuts, cocoa, chocolate, pork, chicken, beans and mushrooms. Wheat germ is a well known source of zinc. We find the highest amount of zinc in cooked oysters: 78.6 mg per 100 g, and in wheat germs: 16.7 mg per 100 gr. Mushrooms are also rich in beta-glucan, which stimulates the immune system. Strengthen your immune system before getting the cold! Though they don’t smell very pleasant, the garlic and the onion are natural medicines of colds and strong antioxidants used since ancient times. The garlic is a natural antibiotic, anti -inflammatory and anti- bacterial agent. Both garlic and onions keep the blood thin, the cholesterol level low, and protect against flues, even cancer. They reduce blood pressure, triglycerides and acts as an expectorant and decongestant. The onion has relatively the same effects as the garlic, but it is also used in the treatment of persistent cough. Honey is also effective against a wide rage of bacteria. Eat fruits and vegetables! Especially the ones that contain vitamin C: lemon, kiwi, oranges, strawberries, pineapple, watermelon, plums, mangoes, and so on. These fruits can help in the elimination of certain infectious bacteria because studies have shown that vitamin C has a strong antibiotic action, being used even in healing the snake bites. There are some vegetables containing high levels of vitamin C, as well: cabbage, Brussels sprouts, cauliflower, broccoli, tomatoes, spinach, and so on. Parsnips contain vitamin B6, which works wonders on the immune system, by attacking and destroying free radicals that may cause cellular damage. Among the herbs that contain antibiotic qualities, we mention: oregano, cinnamon, chili peppers, coriander, basil, ginger, mustard, nutmeg, rosemary, etc. Fats and sweets are not recommended because they fill your body with toxins, not allowing your immune system to fight against infections. Sugar harms the white cells in our body, and reduces the ability to fight against germs by 40%. Smoking can seriously damage our immune system. It affects the respiratory tract, leading to coughs and colds. It destroys the mucous membranes and the cilia (tiny hairs found in the nose and lungs that catch the germs). Among the natural ways to boost your immunity, a good, healthy sleep is highly positioned on the list. We need a minimum 7 hours of sleep per night, time during which our system repairs the damaged cells and tissues. Studies have shown that stress suppresses the immune system by releasing some hormones called catecholamine in our bodies. Exercising is a good way to stay in shape and to keep your immune system at maximum efficiency. Overweight people experience hormonal changes that can cause dysfunctions of the immune system. All in all, keep in mind that our immune system tends to get lazy if not given the appropriate boost. Follow the tips given above and getting through the cold and flu season will be as simple as ABC.